Recently got my hands on a trial set of IOPE Super Vital skincare range – with Softener, Emulsion, Serum, Cream and Eye Cream. I’ve gone crazy about Korean skincare lately; I think a lot of Koreans have gorgeous skin. I’ve heard that Koreans have up to 10 steps in their skincare routine! 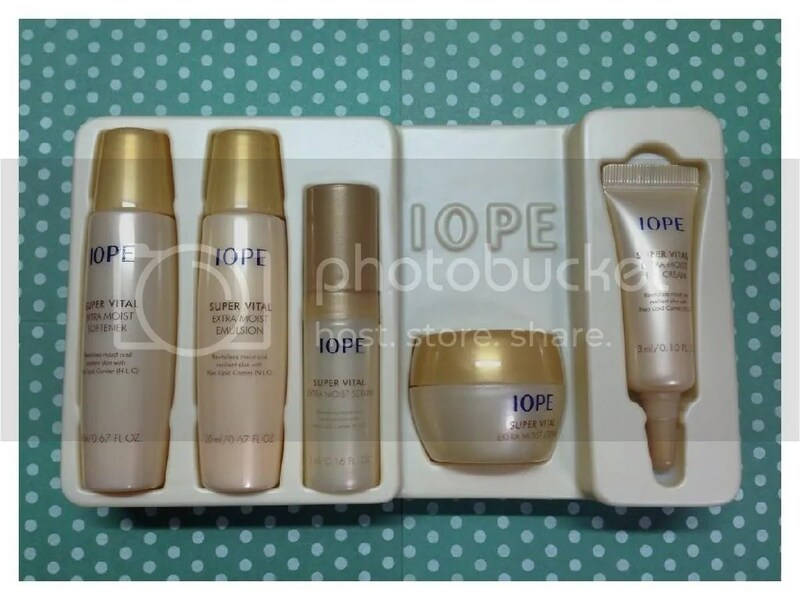 IOPE is quite a popular skincare brand in Korea, and owned by the giant makeup and skincare company AmorePacific. The products are pricey so I recently bought a trial set online from the Super Vital range to try it out! Just a really quick overview on this set; I think the trial sizes are too small to truly give a review on the efficacy and impact it has made on my skin but I really wanted to do an “initial thoughts” or “first impressions” update on this. I liked the Softener as it made my skin feel really moist, but the scent is so intensely overpowering. The emulsion feels light and great for day time, even under makeup. The serum is a very lightweight yellow fluid that sinks in immediately and my personal favourite out of the 5 products. The cream feels too thick and heavy; I would say might be better in a cold winter but sadly it’s hot all year round where I live. 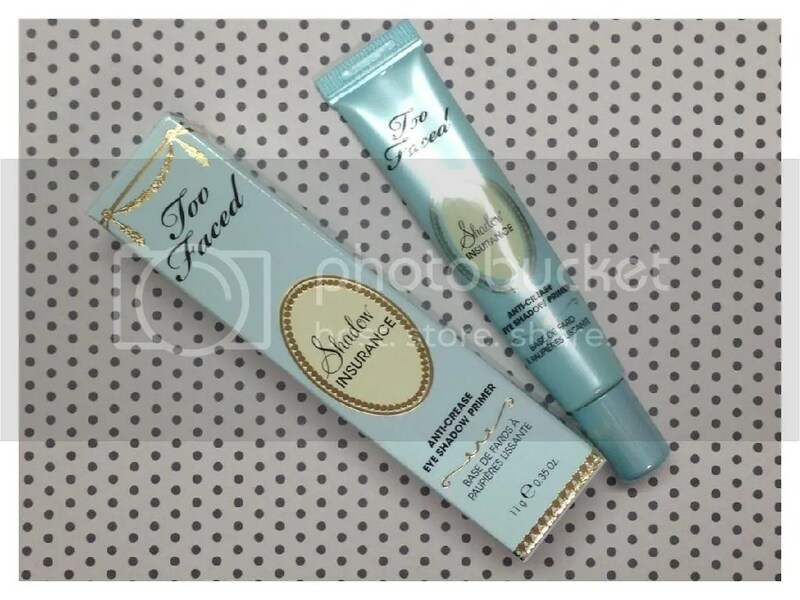 The eye cream is nice – it’s rather thick but sinks in well without feeling oily. In all, I thought that this was a rather good set for anyone with dry skin as I do feel that my skin feels well moisturised and soft. However, the one big turn off I had was how almost all of them are so heavily fragranced, especially the Softener. I won’t be purchasing the full size because of how intensely scented the products are – it might not have caused any skin allergies, but it did give me a headache from how strong it smelt! That’s all for this week’s midweek peek! Have you tried IOPE too? 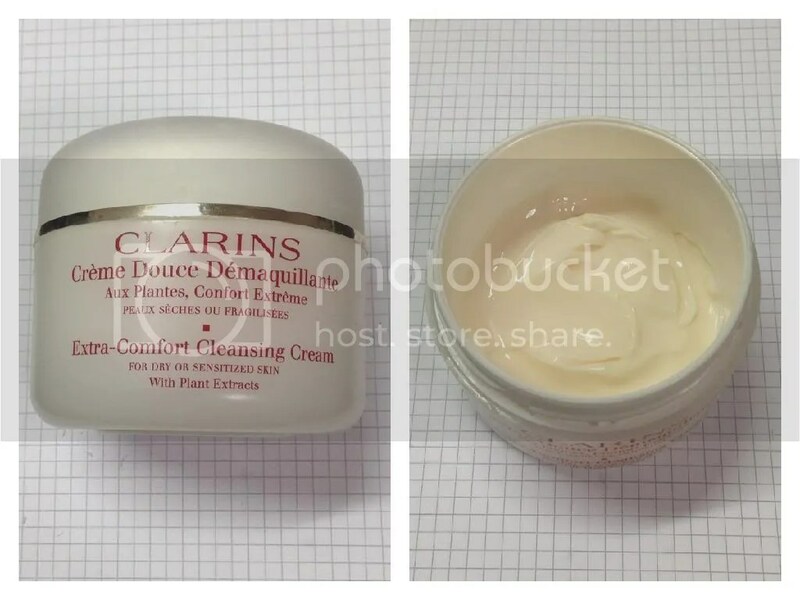 Another Caroline Hirons induced purchase – the Clarins Extra Comfort Cleansing Cream. I’ve been using this for a couple of months, and recently heard that this is being replaced with a new version called ‘Extra Comfort Anti Pollution Cleansing Cream’, so I thought I’d better get this review out asap just in case it’s still in stock! I’ve checked with a few counters in Singapore, and they’re still available. 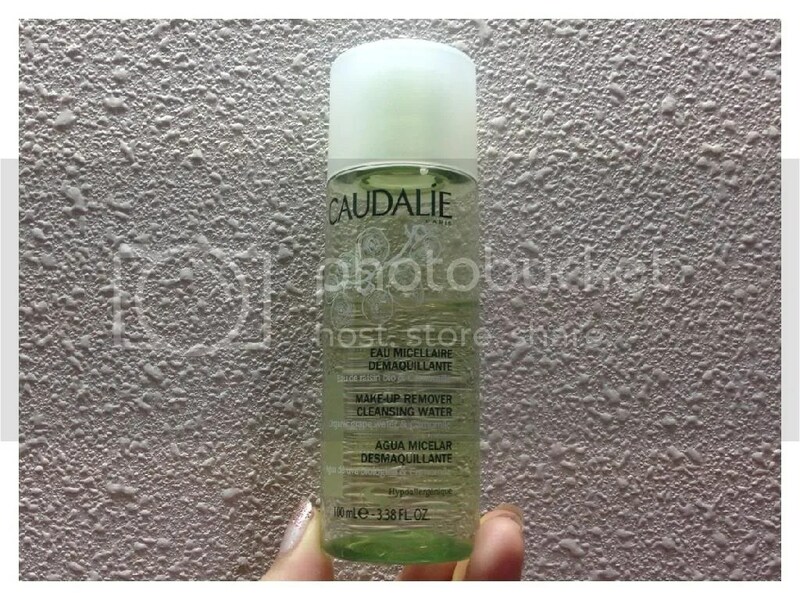 This huge 200ml pot costs S$60. Pure comfort for skin that is extremely dry or easily irritated. Rich, creamy formula—with Clarins’ blend of Shea Butter and Jojoba Oil —gently lifts-off make-up, impurities and flaky cells leaving skin smooth, moisture-balanced and perfectly relaxed. Rinse or tissue-off. In terms of packaging, this comes in a huge pot with a screw on lid, which I don’t like; the thought of sticking my fingers with all its germs into an open pot terrifies me. Plus, the pot is so big I’m always terrified of overturning it all with my clumsy fingers – not the most convenient packaging! The product itself is like a thick cream, very smooth but not watery, with a thick enough consistency that it keeps its shape for a while. It does not foam up at all. I do like the texture because it feels very soothing and comforting on my dry skin – it’s like washing my face with moisturizer. The recommended way of using it by Clarins is to scoop a walnut-size amount, warm between both palms and then place hands flat, without pressing, over the entire face and lift briskly away to create a suction effect to remove makeup and grime, followed by rinsing thoroughly with water. My own personal preferred way is to massage it all over my face and then rinse off, because it feels good and I am too lazy to be suctioning my entire face. This claims to remove makeup but I don’t find it as efficient. Even after 2 washes, I can still find remnants of face makeup on my skin, and it is hopeless against eye makeup. It does, however, rinse off well without any oily residue despite being so creamy and chock full of butters and oils. I find that if my skin is having a rough time, or going through a really dry and itchy phase, this usually works well in calming it down as opposed to using foaming cleansers which tends to aggravate it further. Verdict? I really like it for how luxurious it feels on my dry skin. I wouldn’t recommend it for anyone just looking for something to remove their makeup or wants to be squeaky clean, but more of a pampering or soothing cleanse, after all the makeup has already been removed. A sign that you’re obsessed with makeup is when you start having feelings for your makeup and can’t bear to part with them, even though you have not used them for ages. In my effort to reduce my stash, I gave away some of my old makeup – I know, some may think that this is not nice, but friends who receive them are fully aware of how old these are and wanted them, so I was not going to stop them. Anyway, I wanted to say goodbye to some of the more loved or memorable ones, like a final goodbye to them, for all the colors they’ve brought to my life! 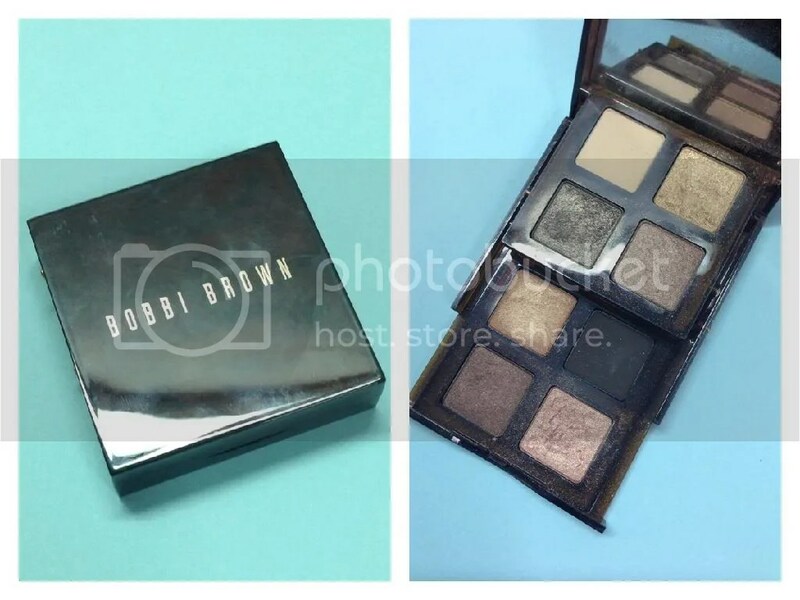 The first up is the Bobbi Brown Bronze Tortoiseshell Eye Palette – this had a lot of sentimental value for me, and I almost didn’t want to give it away but I had not touched it for so long – I can’t even remember when I last touched it! This was the first makeup item that the bf bought for me, along with a makeup class session by Bobbi Brown – that’s when I know I’ve found the perfect bf! 😛 Sadly I didn’t actually use the palette much, as most of the colours look a bit odd on me and were also on the sheer side. I did use one color all the time when I first received it, so there’s a huge dent in one pan. I love the tortoiseshell packaging though! 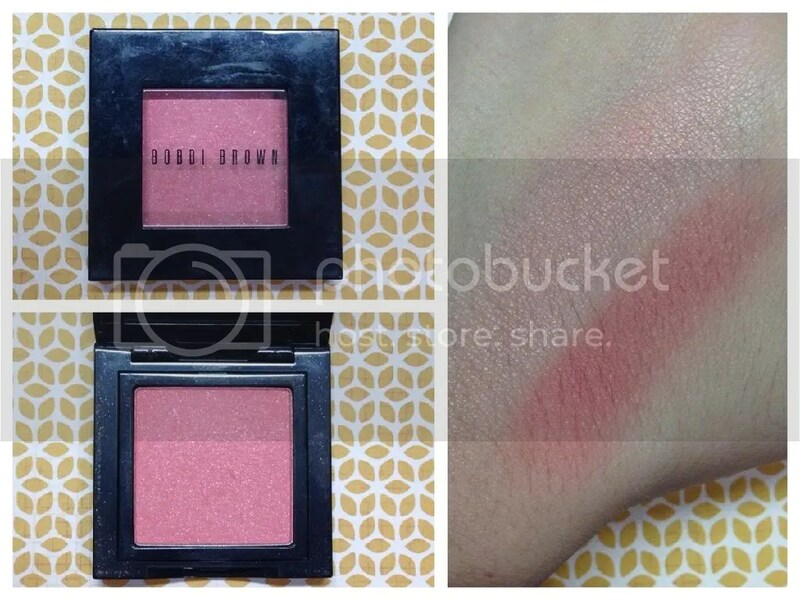 The Bobbi Brown Shimmer Blush in Coral is described on the official website as “a soft coral”. To my eye, it’s a medium-dark coral, leaning more towards orange, with gold shimmers. My favourite part of this blush is the packaging – it is very flat and square, with no wasted space or useless cheap applicators. It’s plastic, with a clear window on the flip top, but has no mirror. 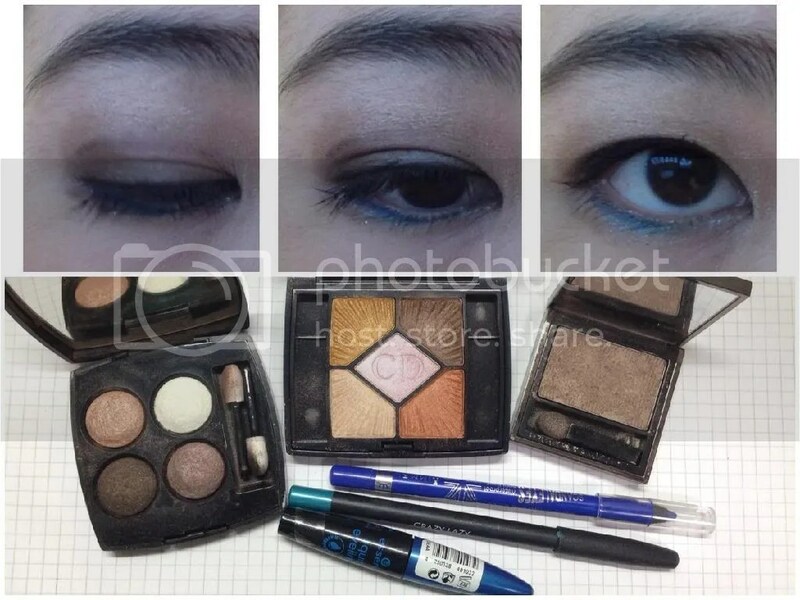 The blush pan can be easily lifted out and reassembled into a larger palette. I just love how travel friendly it is, and how little space it takes up! The texture is soft and silky smooth, but it is not powdery at all. The pigmentation is amazing, and I find that applying it sheer or full on actually gives different effects – applied sheer, it pulls more coral-pink, but with a heavier hand, it appears more orange-coral. As it blends out easily and evenly, I don’t have to be too careful about applying too much like some other highly pigmented blushes. Despite the shimmer, I don’t find it emphasizing my pores; I really like how it gives me a lovely summer glow. Coral lasted well past eight hours on my cheeks without fading. For 4g of product, S$42 does sound pricy but I think the quality makes it well worth it.